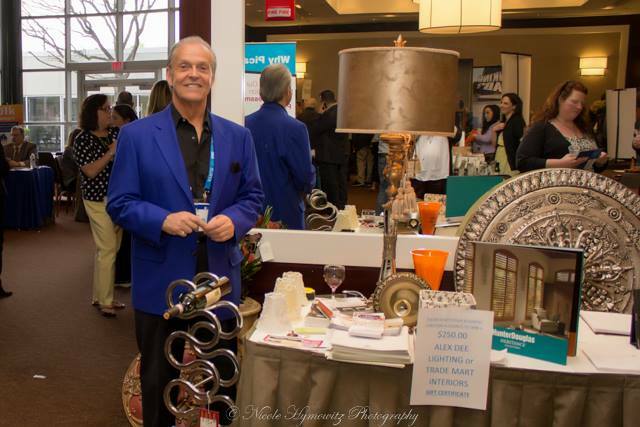 The 2nd edition of the Jersey Shore Biz Fest, the region's largest small business expo, took place on April 15, 2015 at the Sheraton Hotel in Eatontown. Just over 100 vendors, and almost 500 total attendees gathered to promote their businesses, establish new connections, and grow their network and customer base. The 2nd edition of the Jersey Shore Biz Fest, the region’s largest small business expo, took place on April 15, 2015 at the Sheraton Hotel in Eatontown. Just over 100 vendors, and almost 500 total attendees gathered to promote their businesses, establish new connections, and grow their network and customer base. Exhibitors ranged from restaurants and caterers to jewelry vendors, financial services to technology companies, healthcare providers to real estate, with all the major local industries being represented. Organizers Rosa Davis and Chris Fotache of Jersey Shore Premiere were happy to achieve their goal – bringing entrepreneurs together and pooling together resources and ideas, in order to strengthen the community and help everyone’s business grow. Sponsoring the event were ServPro of Freehold, Alcoeur Gardens, Kathy Cody Realtor, Fotek Insurance, New Jersey Natural Gas, Better Qualified, Soul Focus, Alex Dee Lighting, Specialtee Promos, ShoreVacations.com and Eco Awnings. Instinctive DJs provided continuous entertainment throughout the night, and hosting the event were Robyn Lane from WRat Radio 95.9 and Bert Baron from the WCTC 1450AM radio station. Besides the show floor and business networking, a few performers entertained the crowd throughout the night. Two young and talented singers, Taylor Tote and Elya Vasiliev, played a few songs, while the kids from MJXpressions did a dynamic dance routine. D.Monaco Designs of Point Pleasant Beach also put together a small fashion show to present their spring and summer lines, featuring some of the most beautiful models of the Jersey Shore. The official photographer of the event was Nicole Hymowitz. Check out the following photo albums for more pictures: Official show floor, official entertainers, other business pics and more fashion show. For more information about upcoming events around Monmouth County, check out www.JerseyShorePremiere.com or Facebook. On May 19, Taste in Red Bank will host a big business networking event, while the Jersey Shore Fashion Show takes place at Bar A in Lake Como on June 18.